It's Facebook Fridays! for October 30, 2015. 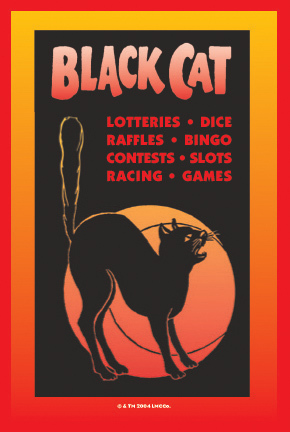 It's almost Halloween -- a time to celebrate black cats, and appeal to them for gambling luck when we're ready to roll the bones and play the Lottery! 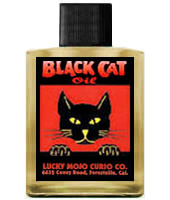 The Lucky Mojo Curio Company is holding a drawing to randomly give away 4 great Black Cat Spiritual Supply prizes to help you win at games of chance! This week you may win one of 4 pairs of 1 Lucky Mojo blessed and dressed Black Cat Vigil Candle plus 1 bottle of our Black Cat Dressing Oil. First thing tomorrow morning, we will select FOUR winners at random, announce their names here, and ask them to message this Facebook Page with their mailing addresses, so we can send them their FREE Black Cat products. Thanks for posting this, Ernie. Folks -- click the link and enter the contest. You just might win! We have a winner! In fact, we have 4 lucky winners! Our Facebook Fridays! winners for October 30, 2015 are: Linda L Bay, Billie van der Geest, Princess Jazzy, and Simona Somerville.